Negotiate with North Korea. But the Iran deal is nonnegotiable. This is the weekly roundup of The WorldPost, of which Nathan Gardels is the editor in chief. Negotiations with North Korea over its nuclear and missile program is the only alternative to war. But attempting to renegotiate the Iran deal, as U.S. President Donald Trump has called for, would open a can of worms that would likely kill the hard-won agreement to stem nuclear proliferation in the Middle East. Furthermore, unraveling the done deal with Iran would doom a potential deal with North Korea because Pyongyang would suspect that whatever is agreed can be changed unilaterally by the U.S. down the road. South Korea’s immediate aims are twofold, according to Hong. First, it must work with others to stop Kim from achieving his ultimate goal of attaining the capacity to strike the U.S. “If the U.S. mainland faces a direct threat from North Korea’s intercontinental ballistic missiles, confidence in Washington’s nuclear umbrella and extended deterrence to South Korea will be shaken,” Hong worries, since the U.S. will likely protect itself first, leaving South Korea vulnerable. Second, South Korea must also avoid a war on Korean soil aimed at taking out the North’s nukes because it would be catastrophic for its citizens. Hong welcomed Trump’s declaration that the objective of stronger sanctions and the threat of force is to bring Pyongyang to the negotiating table. Hong also laid out several key steps going forward, including a hotline with Pyongyang to prevent war by accident or miscalculation; a special envoy to meet and confirm in person that the U.S. is not seeking regime change; and South Korea to maintain a united front of pressure on North Korea by avoiding a rift between the U.S. and Japan on one side and China and Russia on the other. As Trump tours Asia this week, his most important stop was to Beijing, where he met with Chinese President Xi Jinping. Among the most daunting challenges in understanding China today is fathoming the thinking behind Xi’s broad initiatives — most notably strengthening the Communist Party’s grip by cracking down on civil society and the media while drawing on the tradition of Confucian ethics to fight corruption. Fortunately, Wang Huning, a top party ideologist just elevated to the seven-member Standing Committee of the Politburo that rules the Middle Kingdom, has left a long paper trail that provides the best insight we are likely to get into the mindset of China’s leadership. North Korea slammed President Donald Trump Saturday accusing him of being a “destroyer” and having “begged” for nuclear war during his first trip to Asia. „Trump, during his visit, laid bare his true nature as destroyer of world peace and stability and begged for a nuclear war on the Korean peninsula,“ a North Korean foreign ministry spokesman said in a statement carried by the state news agency KCNA. 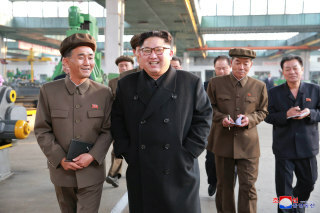 The North Korean spokesman added that nothing would deter Pyongyang from pursuing its nuclear weapons program. The backlash came days after Trump warned North Korea not to underestimate the United States during a speech to South Korea’s National Assembly on Wednesday. “The regime has interpreted America’s past restraint as weakness,” Trump said as he wrapped up the South Korean leg of his Asia tour. „This would be a fatal miscalculation. This is a very different administration than the United States has had in the past. „I say to the North: Do not underestimate us, and do not try us,“ he warned North Korea’s leader Kim Jong Un. KCNA released the statement as Trump flew to Hanoi, Vietnam, where he is due to attend a state banquet. A senior U.S. official and a retired U.S. military official briefed on policy told NBC News this week that Trump was engaged in brinkmanship with North Korea to show strength and encourage the regime’s backers to use their leverage over Pyongyang. But critics say the strategy is unlikely to persuade the Kim regime to abandon its nuclear arsenal and that it also carries the risk of triggering the deadliest conflict since World War II. The president has previously threatened to unleash „fire and fury“ on North Korea and warned that he may be forced to „totally destroy“ the rogue state. Nuclear weapons exercises in both Russia and the United States go mysteriously unreported in leading American newspapers. Both Russia and the United States undertook major tests of their respective nuclear forces at the end of October 2017. Oddly, that was not sufficiently newsworthy and no coverage appeared in America’s leading newspapers. It’s particularly strange—and even ironic—because the steady drip of articles alleging every type of Russian conspiracy, from manipulation of social media to meetings with senior Trump administration officials to the supposed attempted penetration of voting systems, has been front-page news every day, playing no small part in accelerating the downward spiral in U.S.-Russia relations. One half expects a spate of new revelations detailing the current administration leaders‘ unexplained fondness for borsht and pelmeni. All joking aside, a simple miscalculation in this most crucial bilateral strategic relationship could rather quickly destroy both nations and end life on earth. As long as American media outlets do not cover these nuclear exercises, which are ominous developments, they seemingly can escape any culpability for bringing on the “new Cold War,” its catastrophic risks and the related consequences. Some would prefer to suggest that cyber tensions, election-interference allegations, accusations regarding nefarious activities in crises from Syria to Afghanistan to North Korea—not to mention the escalating proxy war in East Ukraine—are all discreet and complex issues demanding U.S. strategic attention, that will not, however, cumulatively lead to a U.S.-Russia nuclear showdown. But that all too tenuous assumption is belied by high-level assessments from the Pentagon, as well as these recent nuclear weapons exercises that admittedly have become quite commonplace. Even if the actual chance of military conflict remains thankfully low, it is extremely disturbing, and wholly contrary to the national interest. The stoking of further tensions with Moscow will cost Americans trillions of taxpayer dollars—a fool’s errand if there ever was one. At one level, this is just a case of bad journalism—the failure to distinguish the titillating (e.g. the Steele dossier) from the truly important (e.g. 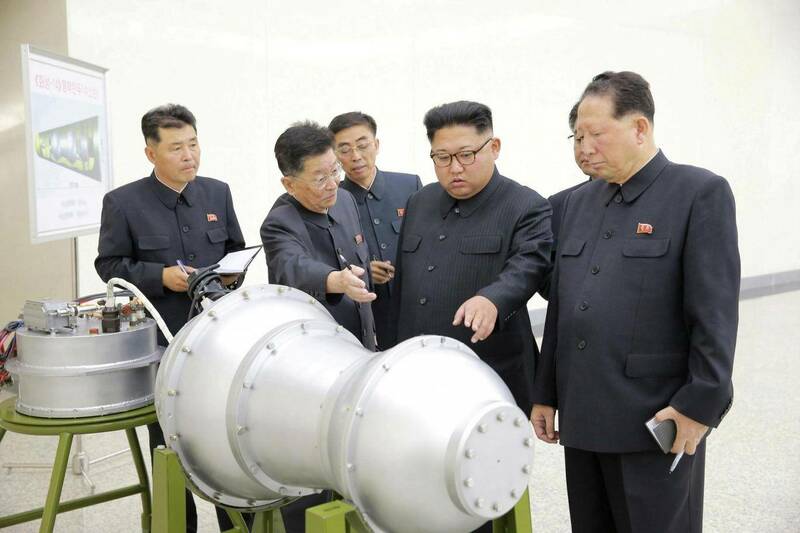 nuclear force modernization and crisis doctrines). How poorly informed the U.S. political establishment is by such bad choices made regularly in the country’s newsrooms is suggested, for example, by the somewhat remarkable fact that neither the New York Times, nor the Washington Post, bothered to report on President Vladimir Putin’s visit to Iran on November 1 either. If Washington’s so-called “adversaries” are coalescing against it, America, so it seems, will remain blissfully ignorant. The newspaper Nezavisimaya Gazeta provided significant space to discussing both nuclear exercises. As I have done for years with my Dragon Eye column in sharing insights from Chinese press and academic writings, here I will endeavor in a new column called Bear Cave, to impart some perspective on Russian strategic viewpoints in the hopes of contributing in a small way to deescalating bilateral tensions, which now genuinely threaten world peace and stability. 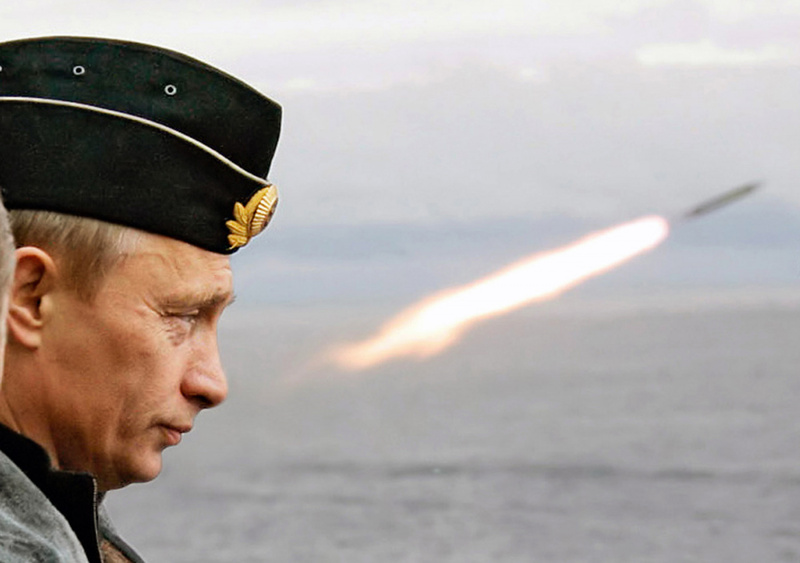 The Russian analysis concedes that the Global Thunder exercise organized by U.S. Strategic Command “looks like a saber-rattling by the Americans of a nuclear cudgel in response to Russian training and combat launches of ballistic and cruise missiles last week.” In the Russian exercise, according to the article, four intercontinental ballistic missiles were apparently launched. Lest anyone be confused regarding the payload, the article explains these missiles are “intended to carry nuclear warhead payloads.” Three missiles were launched from submarines (both Northern and Pacific fleets), while the fourth was a Topol rocket fired from the Plesetsk Cosmodrome. The exercise also involved a sortie of Russian bombers of several types and so the “entire nuclear triad of Russia was tested.” This exercise was undertaken with the direct participation of the supreme commander of the Russian armed forces President Vladimir Putin, according to the article, as if to underline that he is the only world leader who could likely reduce nearly the entire U.S. homeland to glowing rubble well inside of an hour. Happily, the article does mention some additional context for the recent U.S. nuclear tests, including the ongoing North Korea crisis, which the Nezavisimya Gazeta article states was “provoked by Pyongyang.” And yet the next sentence states quite unequivocally that Moscow is “extremely nervous” regarding the continuous buildup of U.S. forces in Northeast Asia. That point raises yet another cost of the new Cold War. In addition to the risk of catastrophic war and enormous resources wasted on military rivalry, we may add the further escalation of regional conflicts, whether in the Middle East or Northeast Asia, that have resulted from deepening mistrust among the great powers, which now seem more interested in the concept of “relative gains,” vice genuine conflict management.